The results are overwhelmingly positive. 98% of children said they learn a lot and 94% said they enjoy school. 100% of pupils said the adults care about me and explain to me how to improve my work. We only had a 50% return rate this year. I imagine this is because we sent the questionnaires out one week after Ofsted. 42/46 (91%) questionnaires were returned. 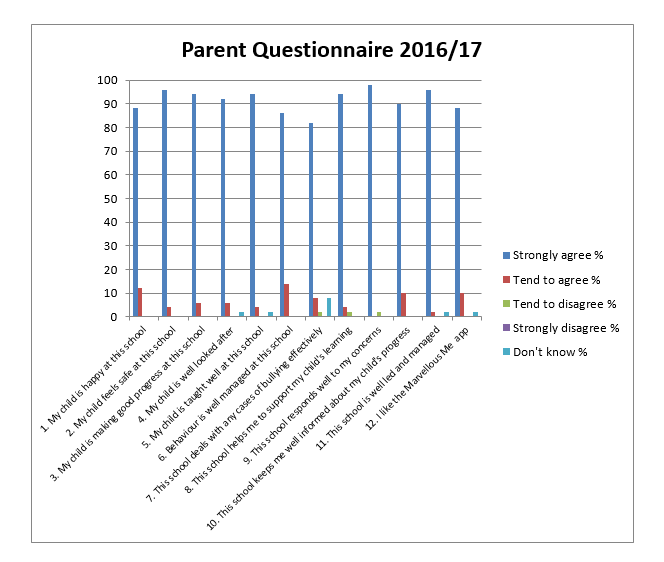 100% of staff strongly agreed that school is well led and managed. We are delighted that 100% of staff agree with every statement.